Getting a new roof or having a large part of the old roof replaced or repaired is a huge investment, so you need all the warranties that you can get. There are lots of different types of warranties attached to roofing projects, including not only the warranties offered by the manufacturers of the roofing materials used, but also the warranties offered by a roofing company like CLC Roofing on the installation work. While the manufacturer’s warranty covers the materials that will be used for the roofing project, most roofing material manufacturers have very strict requirements when it comes to how their products are used – if the contractor that is in charge of using the products does not guarantee that the manufacturer’s specifications and instructions are followed, you might lose the product warranty altogether. What a roofing contractor that offers warranties on his services can give you is not only peace of mind that your roof has been properly installed – he can also give you the peace of mind that your investment is protected if your home is affected by some sort of extreme weather event, such as a storm or a hurricane. The first thing that homes insurers do in such cases is to check whether the roofing materials used are suitable for the climate area and if they have been installed in a flawless, professional manner – the only way to prove that is by providing the manufacturer’s warranty accompanied by the contractor’ warranty. A damaged chimney crown – this issue can be noticed only if you climb up to the chimney and take a close look. The crown of the chimney is the first line of defense against the element – if it gets cracked, it can no longer protect the other parts of the chimney against water damage, so restore the integrity of the component as soon as you notice the cracks. The climate in Dallas is characterized by variations in temperature, precipitation and humidity, from one season to the next. There are mild winters and dry hot summers. 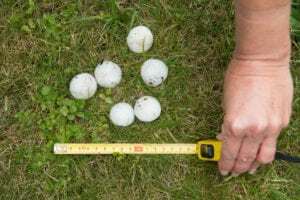 When it comes to storms, they occur mostly during spring and fall and may cause various damage, which depends on their intensity and the way people are dealing with them. Storms cannot be prevented, but the technologies we have today allow sending pretty accurate warnings, so that people can take the most efficient precautions and also address the potential damage immediately, otherwise it will only keep bringing more damage in the future. A storm can cause different levels of damage to buildings, cars and infrastructure. 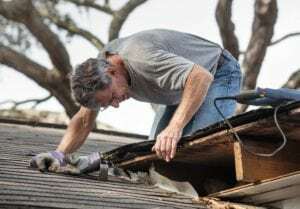 Homeowners can expect problems with their roof, but also with the siding, especially when the wind is strong and there is also hail and should have inspectors with the roofing Dallas TX industry inspect their roof at least twice a year. Take pictures or make a video to prove what happened during the storm. Ideally, you should also have some visual proof about the way your house looked before the storm; this way, it will be easier for you to make an insurance claim. If you must do some repairs to the roof or siding, find a reliable company, able to fix them for you as quickly as possible. The drainage system of the roof is of major importance for extending its lifetime and protecting the building. It has to be designed and dimensioned, right from the start, according to the dimensions and characteristics of the roof that we want to install. The lack of a drainage system will lead to water infiltration in the walls and rapid erosion of the facade and of the building`s structure, which will inevitably lead to high costs for house maintenance. The drainage system is composed of gutters, which are fastened by hooks from the roof structure, and downspouts (the tubes on the facades of the buildings), and it has the role of collecting the water from the roof and directing it away from the foundation and to the sewer system. If we have a roof with a larger surface, we have to look for bigger gutters and downspouts. Specialists say that a 10 cm diameter downspout can easily evacuate water from a roof of 100-200 sqm, depending on where it is positioned. In order for the drainage system to do its job properly and have a long life span, it must also be maintained regularly. Gutters and downspouts should be cleaned of dirt, leaves and other vegetation debris in order prevent clogging, see https://clcroofing.com/. Clogged gutters would lead to water infiltration inside the house. Also, during winter, snow and ice must be removed from the drainage system. First Seen on: What Do Gutters Do? 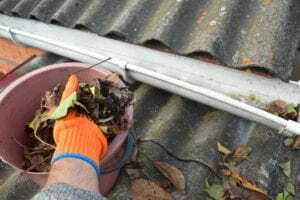 via Blogger What Do Gutters Do? When you choose a color for your roof, you must be aware that it will affect the entire aspect of your house; therefore, it is advisable that you find the right balance between the color of the roof, the siding and other exterior elements. Finding the right balance doesn`t mean to use the same boring neutral colors. It is not necessary to use analogous colors either, because in some cases, the right contrast can be just as pleasant. However, strong contrasts are not recommended. If you are not so sure about which colors you should pick to match roof shingles with your siding, you should better not be adventurous, and opt instead for white and light grey tones for the siding, as they will go just fine with any roof color, or ask roofers Dallas TX area as they have much experience. Darker siding colors match a darker roof, but a lighter facade matches both light and dark roofs. Before you buy the amount of paint that you like and consider suitable for finishing your house exterior aspect, you should better make a little test: buy a small amount and apply it on a portion of about one sq meter, let it dry and then observe the result in different lights. The paint may look different than you have anticipated, so this test can help you make sure that it is what you wanted. Can A New Roof Increase a Propertys Value? A new roof brings up to 40% more value to a property. Shocked? You shouldn`t be... A new roof is an expensive investment that brings superior protection as well as enhanced exterior aspect installed by a qualified Dallas roofing company in your community. The more your home is expensive, the more you will gain from installing a new roof, especially if you plan to sell it soon. There are some variables involved in the way that a new roof increases the property`s value. First, it is the condition of the old roof. 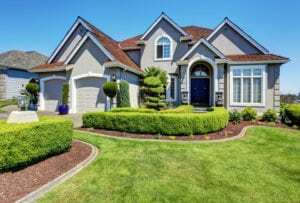 When you make a dramatic upgrade, adding not just a new roof but a new roof made from better materials, this will translate into higher home value than in the case of a moderate upgrade. On the same note, adding more style to your roof will add more architectural interest in the eyes of potential buyers, thus more value. New roofs are made from better materials and have adequate insulations, which make them more efficient, durable and energy-efficient. Old asphalt shingles used to come with a warranty of about 15 years, while some of the new shingles are made from metal, stone-coated metal and other very resistant materials, boasting a significantly longer warranty (even up to 50 years). A new roof on your house also means lower energy bills, which is an attractive perspective for any buyer. Original Post over here: Can A New Roof Increase a Property’s Value? 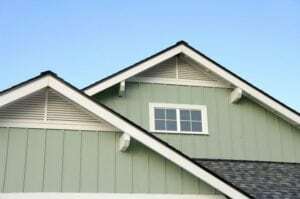 via Blogger Can A New Roof Increase a Property’s Value? Cute and funny if you look at them from a distance, birds can become pests, when it comes to your home. 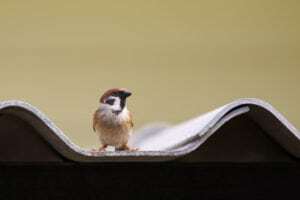 Whether we talk about sparrows, pigeons or other species, these uninvited guests can slowly but surely destroy your roof. They make nests under the insulation, under the eaves, in the chimney or directly on the tiles, and it seems almost impossible to get rid of them. And this is not even the worse part: besides birds, there are various animals that cause damage to the roofs in Texas. If this has happened to your home, call in a roofing contractor immediately to rectify the situation. They are so cute, yes, but not all people know that these lovely rodents may cause havoc in your home: they contaminate everything with their droppings, they spread parasites and are able to damage building materials and even the structure of the house. The roof is no exception. Squirrels love to stay in the attic, they gnaw through wood structure, chew on vent pipes, their urine is pungent and you will surely feel their presence as a nuisance. These animals seem harmless, but they may spread disease. They are destructive by nature, they like to dig through garbage and dumpsters and may take residence in your attic or chimney, where they contaminate the area, tear up insulation materials and even rip holes in the roof. Have your roof inspected annually and reinforce the roof barrier periodically, to keep away those unwelcomed guests and the problems they cause. A commercial roof is only a part of a building, but it protects 100% of it, so you should treat it responsibly; this starts with finding good professional roofers in Dallas for any service that you need: installation, periodic maintenance or repairs. 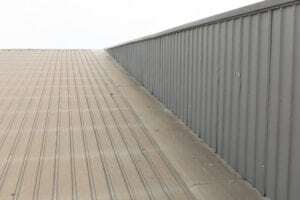 There are many commercial roofers out there, but you should do your research and find the one that is best equipped to meet your particular needs. Contact various roofing companies, talk about their recent completed work, see their portfolios and ask them for references (previous clients that you can contact and ask about their level of customer satisfaction while working with that particular roofer ). 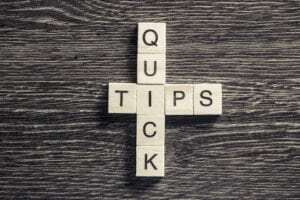 If a contractor seems too pushy to make you sign a contract, or you feel that you do not get enough attention and assistance, move on to another company. Do not make compromises, because your roof is too important. Even if the roof is leaking, stay calm and do not sign a contract just for the sake of dealing with this as soon as possible. Do not pick the first option that you find! A reliable professional roofer should have a long experience in the roofing business, be licensed, certified and insured, so don`t forget to ask about proof of their credentials. You need a contractor with good communication skills and willing to stand behind its work by offering warranties for materials and labor. Finally yet importantly, get everything in writing! Most commercial roofs are flat and this type of roofs need to be periodically examined to determine their overall condition that influences their performance. Maintenance can be provided upon request by a licensed roofing specialist, but if we are talking only about normal conditions of exploitation, protection or minimal maintenance, these operations can also be handled by the building owner. If you must install some equipment on the roof (for example air conditioning units) that might pierce the waterproofing membrane, it is recommended to contact a roofer once you are done, to perform an inspection and make the necessary repairs. Remember that any equipment installed on a flat roof should be put on protective supports, precisely to prevent damage to the structure of the roof membrane. Schedule annual roof inspections with a Dallas roofing contractor to identify potential water leaks, loose or damaged roofing material, clogged gutters and other problems. It is good to have easy access to the roof, to be able to swipe its surface regularly, especially in autumn when flat roofs are prone to accumulate the greatest amount of dry vegetation, which may prevent water from evaporating completely or flow down the roof through gutters and downspouts. Do not perform any work on the roof that could cause mechanical, thermal or chemical damage to the waterproofing membrane.